Registration fee: For cancellations received before 11 June 2018 a full refund will be paid. Cancellations received from 11 June – 9 July 50% of the registration fee will be paid. Thereafter refunds will be at the discretion of the organising committee and will be processed after the conference. No refunds will be made for late arrival or early departure. Registrations may be reassigned to another person without penalty. Please notify the conference team of any changes prior to the conference. Insurance All insurance is the responsibility of registrants. The conference organising committee, HSNZ, and RHANZ accept no liability or responsibility for illness or death, injury or accident to or financial loss by any person attending the conference, whatever the cause. Liability In the event of any disruption or event leading to losses or added expenses being incurred in respect of the conference, there shall be no liability attached to conference organising committee, HSNZ, and RHANZ. Disclaimer The information detailed on the website is correct at the time of publication. The conference organising committee reserve the right to alter or delete items from the programme as circumstances dictate. Changes will be notified on this website. 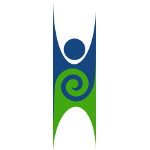 The NZ Humanists are dedicated to providing a harassment-free conference experience for everyone, regardless of gender, gender identity and expression, sexual orientation, disability, physical appearance, body size, race or age. We do not tolerate harassment of conference participants in any form. Conference participants violating these rules may be sanctioned or expelled from the conference without a refund, at the discretion of the conference organizers. Calling or messaging this phone number: 022 435 6117. This phone number will be continuously monitored for the duration of the event. Contacting a staff member, identified by STAFF lanyards. Our team will be happy to help you contact hotel/venue security, local police or local support services, provide escorts, or otherwise assist you to feel safe for the duration of the event. We value your attendance.